Our product range includes a wide range of turbidity meter. 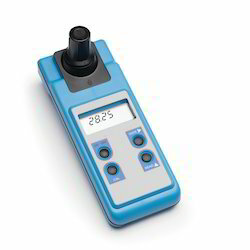 We are involved in manufacturing, trading and supplying of Turbidity Meter. This is an instrument to display the amount of tiny particles in a liquid or air. The most common unit used for turbidity level is FTU or Formazin Turbidity Unit. Meteorological Department and Water Treatment Process use Turbidity Meters for measuring contaminants of air or water. 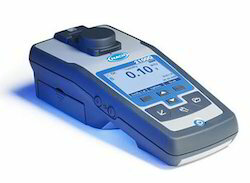 1st Lab-33 : Digital Turbidity Meter 3 1/2 digit LED display Range upto 1000 Ntu/Jtu. In line with clients' variegated requirements, we bring forth a distinguished collection of Turbidity Meter. The entire range is manufactured at our vendors' ultra-modern manufacturing unit using the best quality components and latest technology in conformance with distinct quality norms. Being a quality-oriented firm, we assure our clients that the provided array is exceptional on counts of durability and quality. Clients can avail the entire range from us at market leading prices. Looking for Turbidity Meter ?